Create an image where each pixel contains values for every stop captured by a spectrometer rather than just value for red green and blue. Public lab smart phone spectrometer, Moto x4 phone, and image processing software. This approach should work with other spectrometers and video capture devices too. I will eventually open source the code I'm using for this when it's cleaned up and in a more complete state. 1. 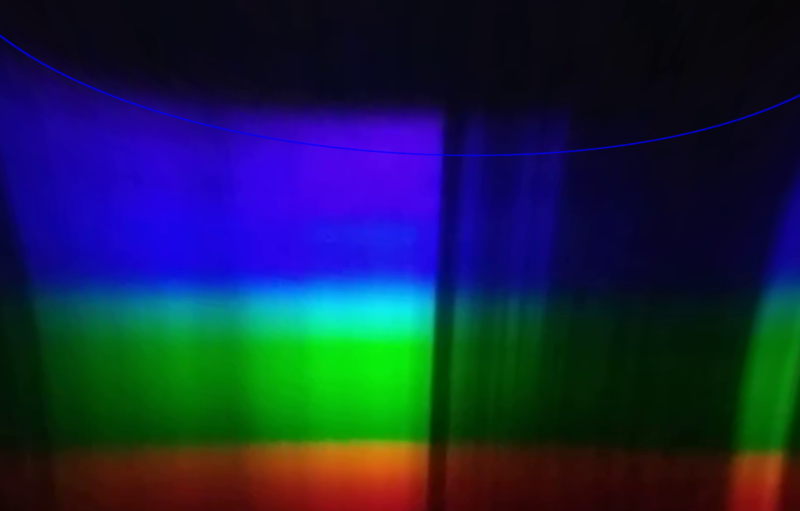 Use the smart phone spectrometer to capture a video of a well illuminated scene where the spectrometer is slowly panned from the top to the bottom of the region of interest. Keeping the panning at a uniform speed will reduce the amount of distortion in the final image. A mechanical device could be useful here. Note that there is still some warping that is causing the top of the spectrum to be wider than the bottom. The next steps I have planned are to remedy this. 3. Scan through each frame of the video and append a horizontal line of pixels to the resulting image where each channel is set to the intensities of a horizontal line across the undistorted spectrum. Below is a reconstructed image of my kitchen window/sink.The red, blue and green channels where chosen from single steps in the corresponding sections of the spectrum. Any pixel in the image could be sampled to view a full spectrum. I applied some vertical stretching to correct for some warping caused an insufficient the number of frames. There are some obvious misalignment in the color channels around the edges. This is mostly caused by the warping issue I mentioned in step two of the procedure. 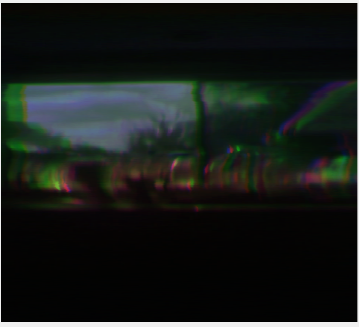 Camera shake is causing some distortion that is visible along the window frame in the center of the image. The camera I am using is also causing some issues. It cannot pick up low light levels so many areas appear completely dark that would be illuminated in a normal image (this was taken in sunlight). Furthermore, there are some gaps in the spectrum that it captures between the RGB bands. Try to create another image with better undistortion and a slower, steadier panning motion. Wow, this is very cool!!! I think there has been some previous work on this at #hyperspectral but you've gotten much further! MaterialsPublic lab smart phone spectrometer, Moto x4 phone, and image processing software. This approach should work with other spectrometers and video capture devices too. I will eventually open source the code I'm using for this when it's cleaned up and in a more complete state. 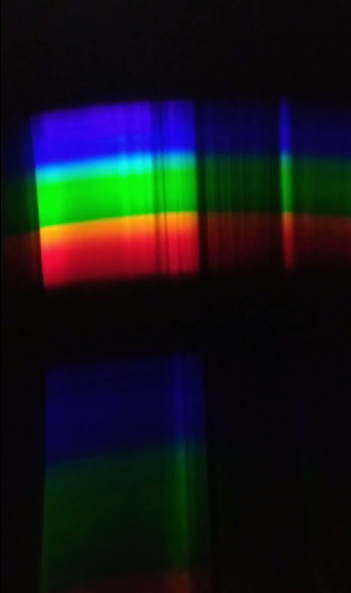 Use the smart phone spectrometer to capture a video of a well illuminated scene where the spectrometer is slowly panned from the top to the bottom of the region of interest. Keeping the panning at a uniform speed will reduce the amount of distortion in the final image. A mechanical device could be useful here. Scan through each frame of the video and append a horizontal line of pixels to the resulting image where each channel is set to the intensities of a horizontal line across the undistorted spectrum.